I made this the same day my niece had the Flag of France bento. The pasta and toasted walnuts ended up in each of our lunches. This was fast to make and delicious. 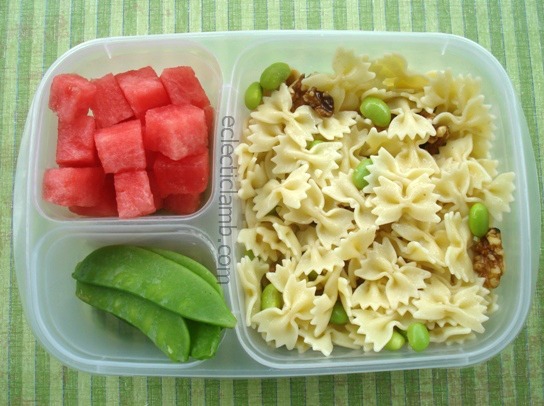 This entry was posted in Bento / Cute Food, Food and tagged bento, pasta lunch, vegetarian. Bookmark the permalink. The pasta certainly looks delicious!